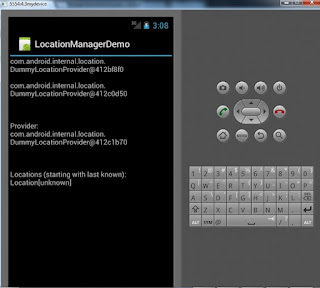 I am going to share very useful demo for location manager in android. 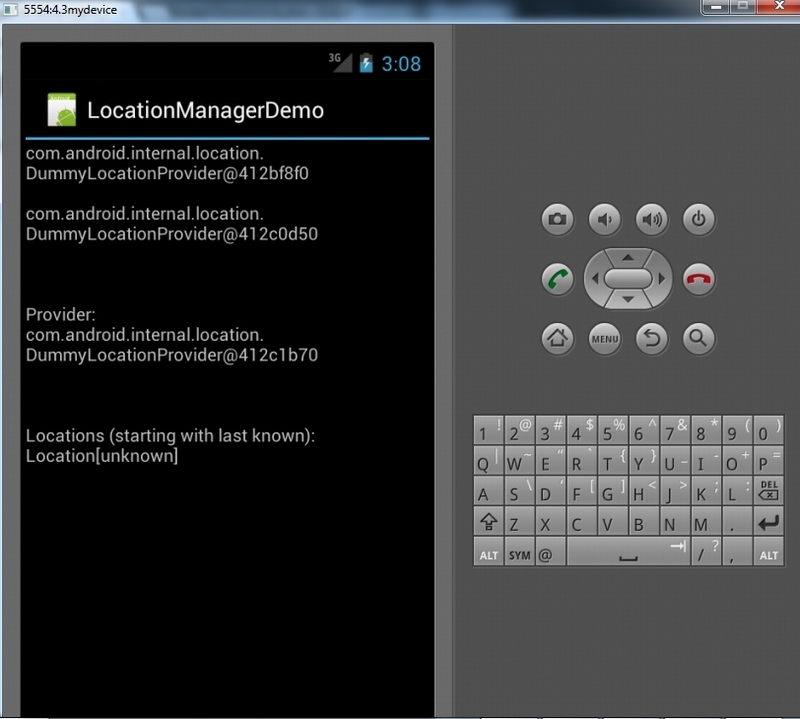 It will search all known location and display in a list. I am sharing code below hope it will helpful for you. // is provider better than bestProvider? result.append("\n\nProvider Status Changed: " + provider + ", Status="